When it comes to the Middle East economy, it continues to be a case of while one hand gives, another takes back while equal force. This trend has been particularly evident in recent times, with Egypt’s beleaguered economy showing sign of improvement while the oil-rich state of Qatar begins to feel the pinch of a blockade that has been imposed by neighbouring Gulf states. Let’s start with the good news, with Egypt’s long-suffering economy has finally stirred into life during the 18 months or so. This has certainly alerted investors, as business and consumer confidence has incrementally increase while inflation has risen steadily since the beginning of 2016. Currency traders will also have noted that the Egyptian Pound has seen its value soar in recent times, as it continues to appreciate against the U.S. Dollar and drive sustained investment. While the level of inflation needs to be managed if the government is to maintain an economic equilibrium, there is no doubt that genuine optimise has begun to engulf Egypt and its subjects. This is a far cry from the five years prior to 2016, after the Arab Spring uprising in 2011 triggered an economic decline that saw unemployment levels rise to a peak of 13.4% and growth fall to an annualised rate of just 2%. Before the Middle East could even begin to rejoice in the return of normality and security to Egypt, however, the tensions between Qatar and its Gulf state neighbours reached breaking point. With the Saudis, Bahrain and the UAE accusing Qatar of financing domestic terrorism and bringing instability to the region, the oil-rich state has been subjected to an economic blockade and the cessation of transportation links. With diplomatic ties also temporarily terminated, relations have reached rock-bottom with neither side taking a backwards step. 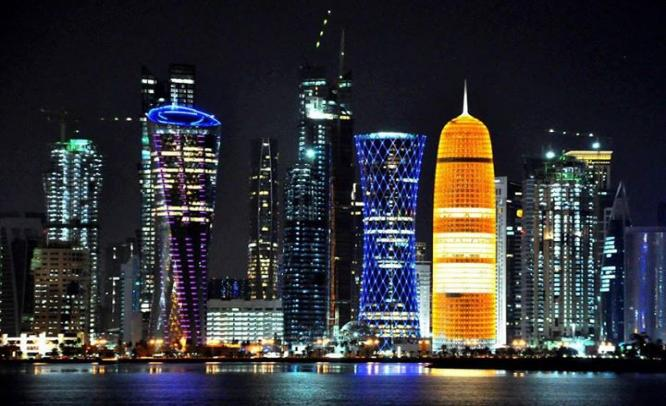 Although Qatar have so far resisted the impact of these sanctions (thanks to an increasingly diverse economy, quick thinking and the fact that these neighbouring Gulf states only account for 8% of its total exports), the conflict has served the unfortunate purpose of undermining the Middle East economy. It has also created widespread, geopolitical uncertainty, which has in turn impacted on currency values and made the region less appealing to overseas investors across the board. The Last Word: Will the Middle East Ever Realise its Full Potential? These events and their timing sum up the issues that have plagued the Middle East for generations. Oil-rich and equipped with boundless economic potential, its growth has continually been undermined by geopolitical tensions and a volatile landscape that is constantly vulnerable to mistrust, conflict and social oppression. Even if Egypt sustains its economic recovery and Qatar settles it differences with its neighbours, the next domestic or global conflict involving the Middle East will surely not be far away. With this in mind, it is worth asking the region will ever be able to realise its full potential as an economic powerhouse?